Since my son’s school photos were just all over the place, I decided to organize a little. He was never in Pre-K but he was in Daycare for three years. So I made some labels with the Avery Shipping Labels size 3 1/3″ x 4″. 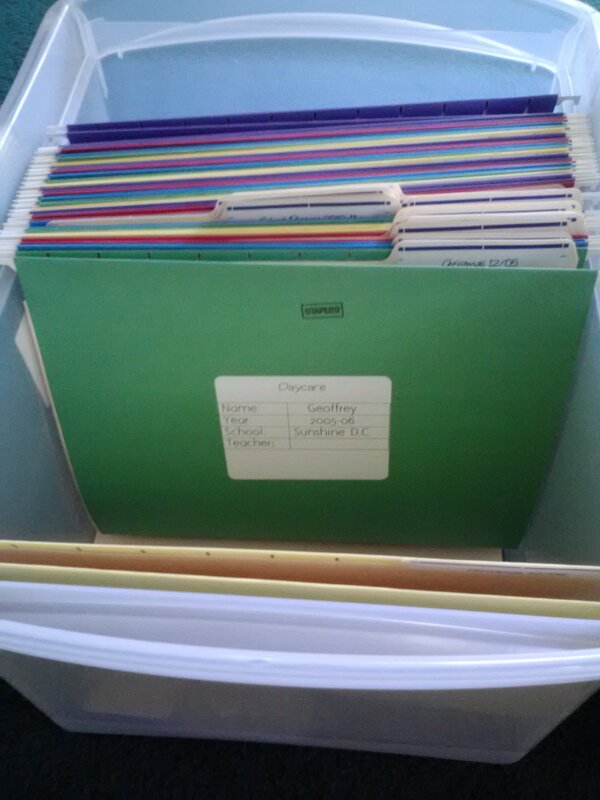 I saw some ideas on Pinterest with some parents organizing their children’s school work but I scan all my son’s. This is what I did. I got a tote for hanging folders at Target and got some hanging folders from Staples. You can also download the labels I used. I also added a Pre-K one. Don’t forget to comment if you find this helpful.